A pest is defined as any animal or plant which has a harmful effect on humans, their food or their living conditions (The Department of Health, 2010). This can include an animal or insect that carries disease-causing micro-organisms (such as mosquitos), can contaminate and damage food (such as mice and rats), damages buildings (such as termites) and bites people (such as bed bugs). Pests usually come under the insect category, and most of the time you will be pretty aware they are there, due to the discomfort they will be causing you in some way. A few other signs that help you identify a pest infestation include cracks on the floor or walls, presence of droppings or urine, chew marks or scratches, and sawdust residue indicating termites. How do you prevent pests? One of the most important and effective methods you can implement in order to prevent and control pests within your home or workspace, is good hygiene. When your living space is clean and regularly maintained, then there is nowhere for pests to breed, and nothing attracting them in. If you do start to see pests, if you are cleaning on a regular basis then you can identify the issue quickly and promptly eradicate the problem. · Clean up after meals and don’t leave any food sitting out. Properly wash up your dishes so that no food residue is left on them. · Keep any food covered or in secure containers, so that nothing can creep in. · Put all rubbish and food scraps in the bin. · Regularly clean the shower, bathroom and toilet (including the toilet bowl). · Regularly wash your mattress protector, bed sheets and pillow cases. It is also helpful to vacuum and dust around the bed. What do you do if you find pests? Sometimes as much as you try to prevent pests, maintaining a clean living space and practicing good hygiene, the pesky little critters still find a way to sneak in and make themselves at home. One option you can take to eradicate pests, is using a pesticide. This is a substance used to kill feral animals, insects or plants. Whilst this may be the best and only solution in some circumstances, pesticides can be quite hazardous to humans as well. If it is not dealt with correctly, it can also contaminate the air and water supplies. If you do decide to go with this option to kill your pests, you need to be educated in your product and how to use it safely. 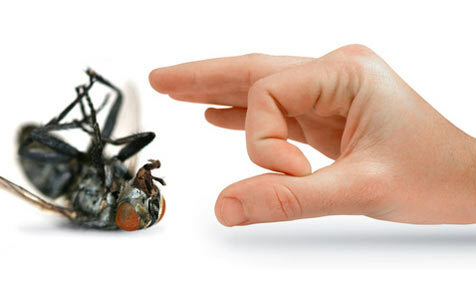 Hiring a professional pest control company is a highly effective, and safe, way to get rid of pests. Terry’s Steam Cleaning specialises in pest control in Brisbane and the Western suburbs, including Chapel Hill, Indooroopilly, Fig Tree pocket and St Lucia. After scheduling an appointment to visit your home, Terry will discuss with you the many different prevention methods that can be used, and educate you on the issues so that you can work together to fix the problem. Terry’s Steam Cleaning also offers a 12 month guarantee, as long as the customer understands that it is impossible to complete 100% eradication of all hidden pests (they can be sneaky little things!). If you are facing any pest control issues in Brisbane today, get in touch with our team and we will be happy to assist you.